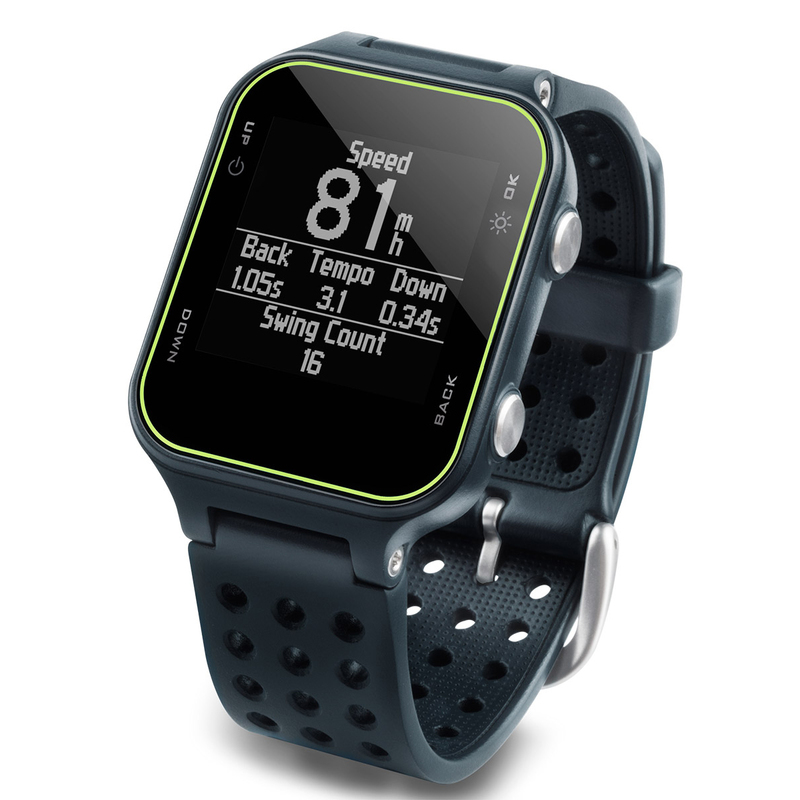 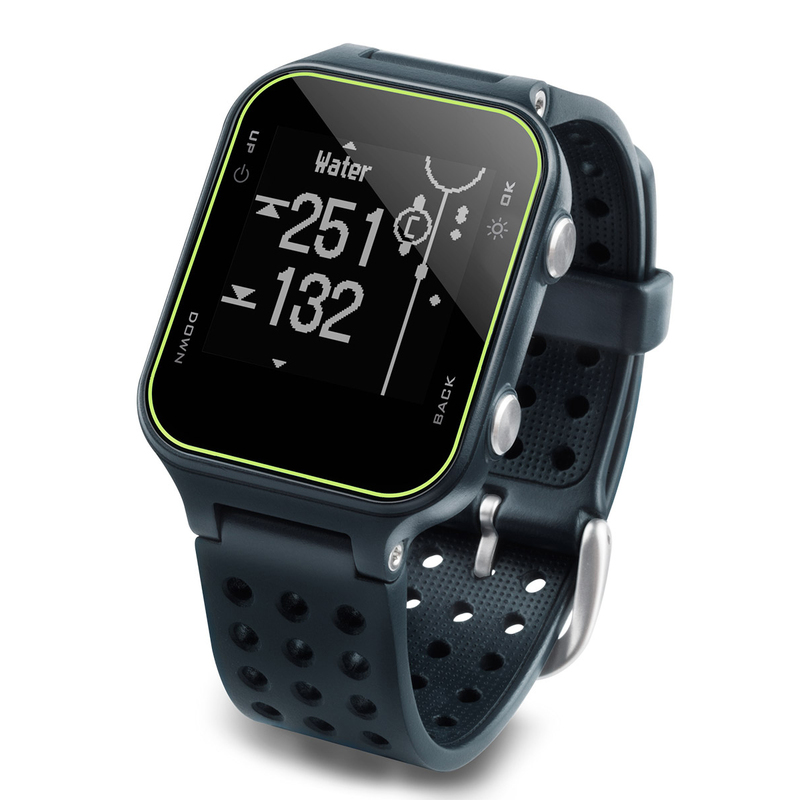 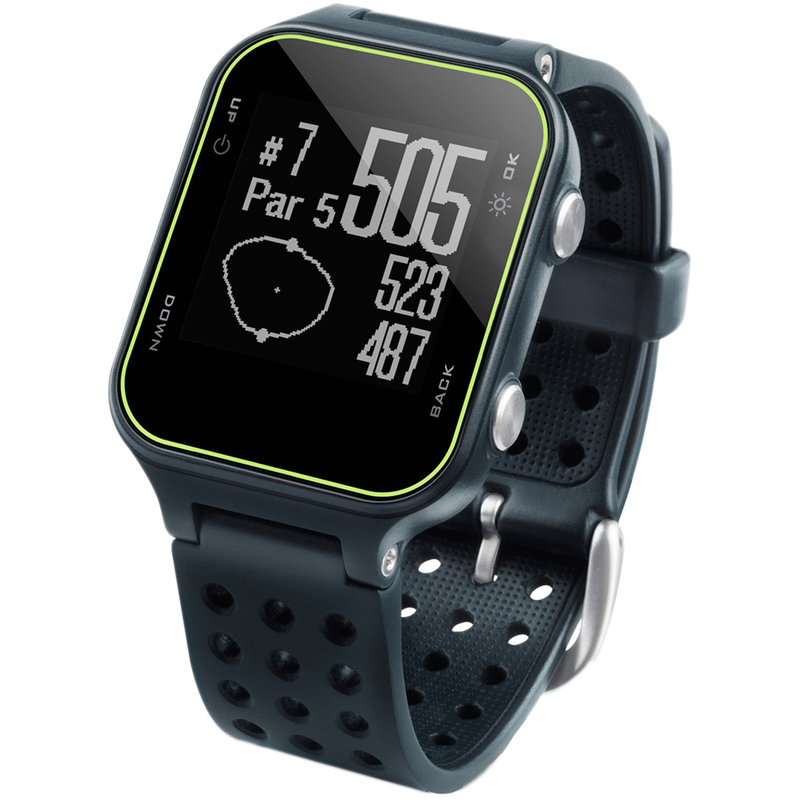 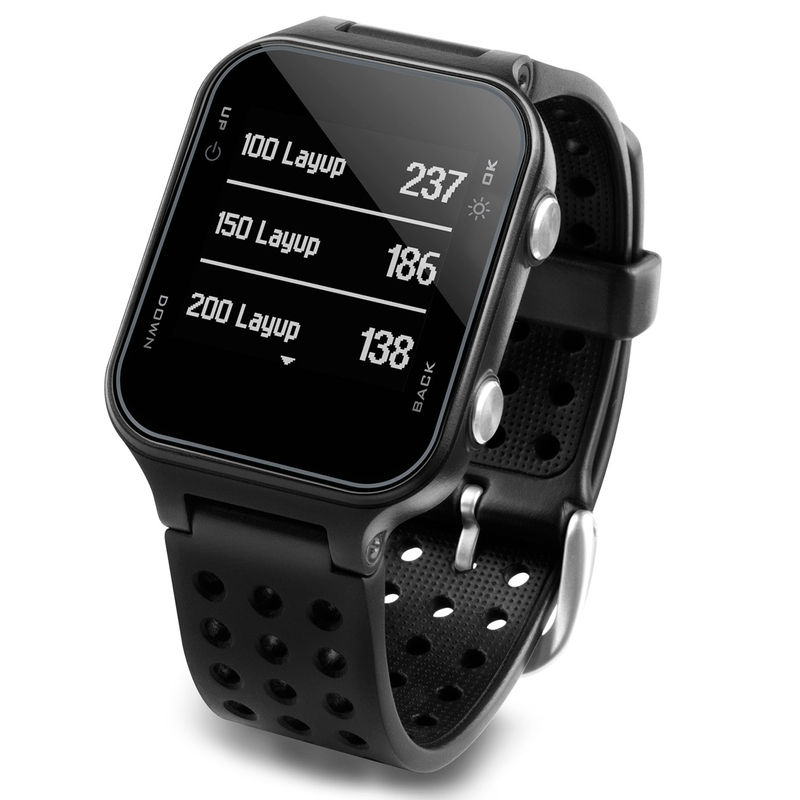 The sleek and lightweight Approach S20 GPS watch provides more convenience on the golf course, with distances for over 40,000 preloaded courses including hazards plus Green View and the new Garmin AutoShot round analyser for detailed game analysis via Garmin Connect. 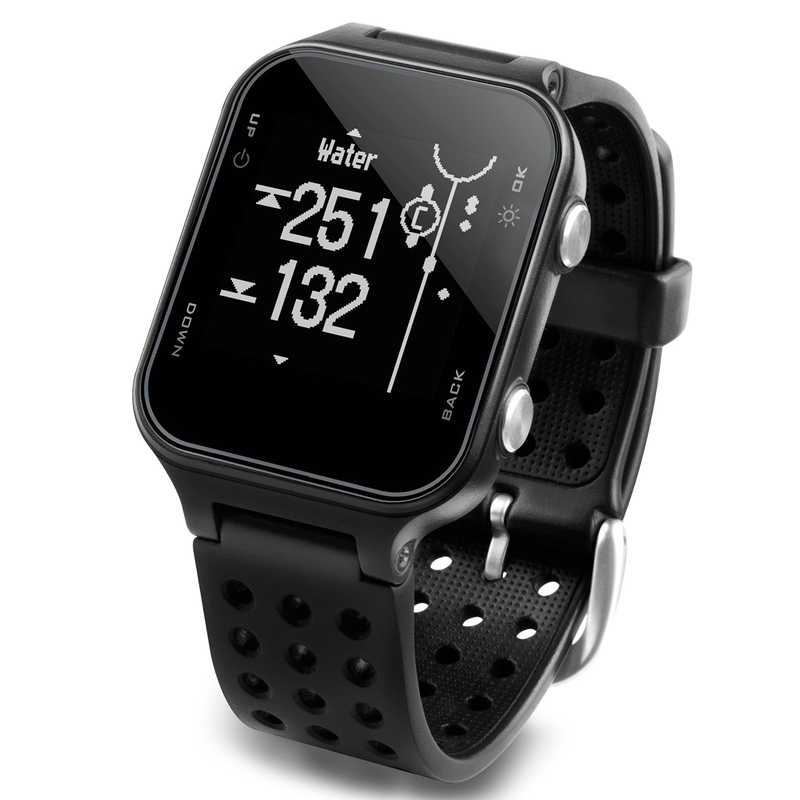 The watch also doubles as an activity tracker for a more healthy lifestyle and provides smart notifications to your wrist. Reminds you to stay active once off the course with move bar and vibration alerts. 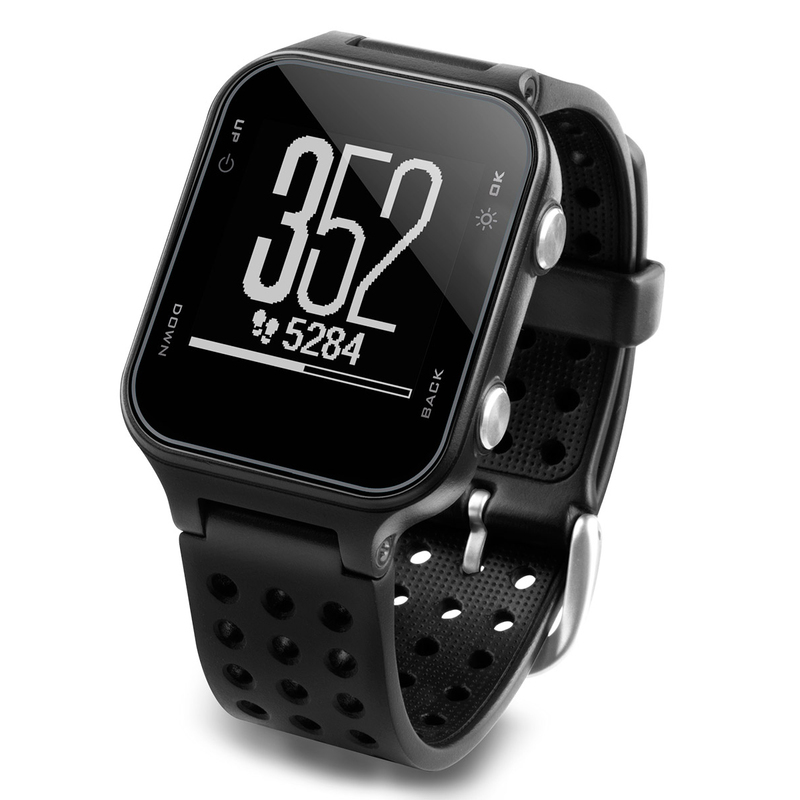 Displays steps, calories burned, distance and time of day, plus it monitors hours of sleep. 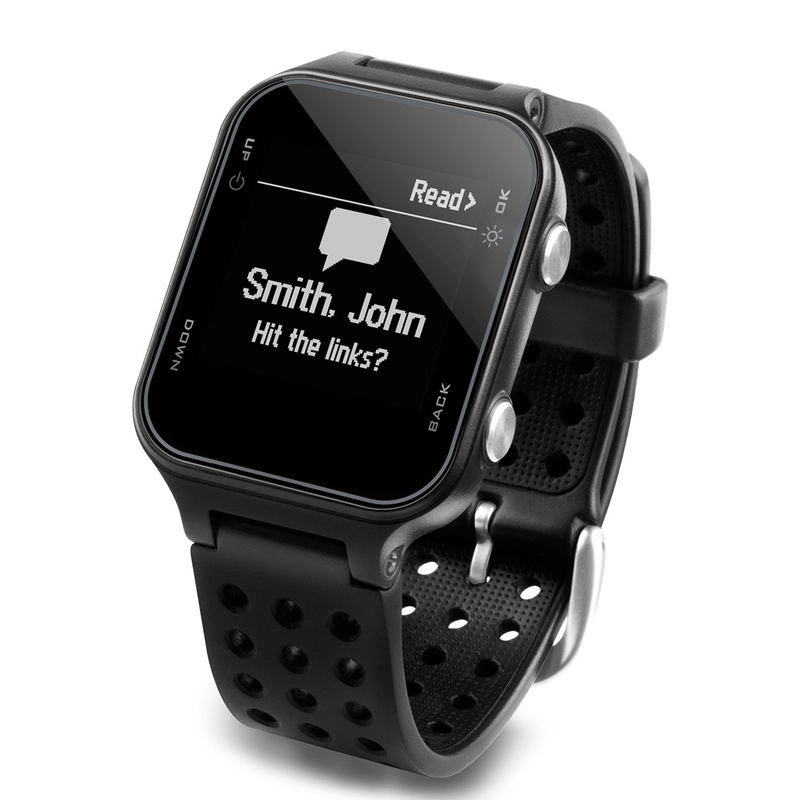 Receive smart notifications for incoming calls, texts, emails and other alerts directly onto your watch. 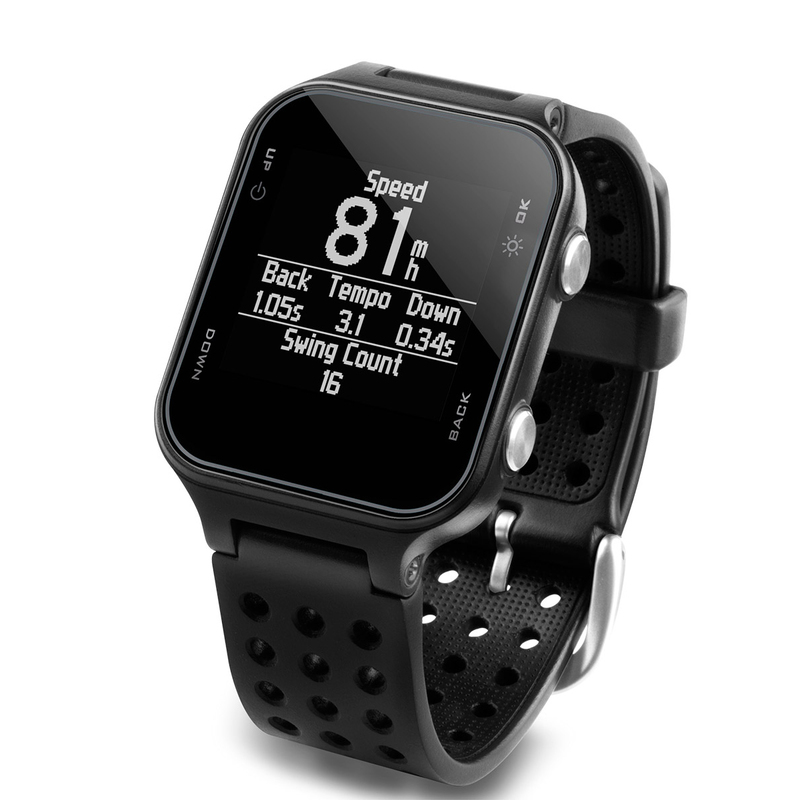 This high-sensitivity GPS acquires satellites to quickly to show distance to greens, hazards and doglegs, even if your under tree cover. The device measures yardage to the front, back and middle of the greens displayed in large, easy to read numbering including preview of the green layout. Garmin AutoShot round analyser measures your shot distances and auto-records them for review on your Garmin Connect account using your desktop pc or laptop. 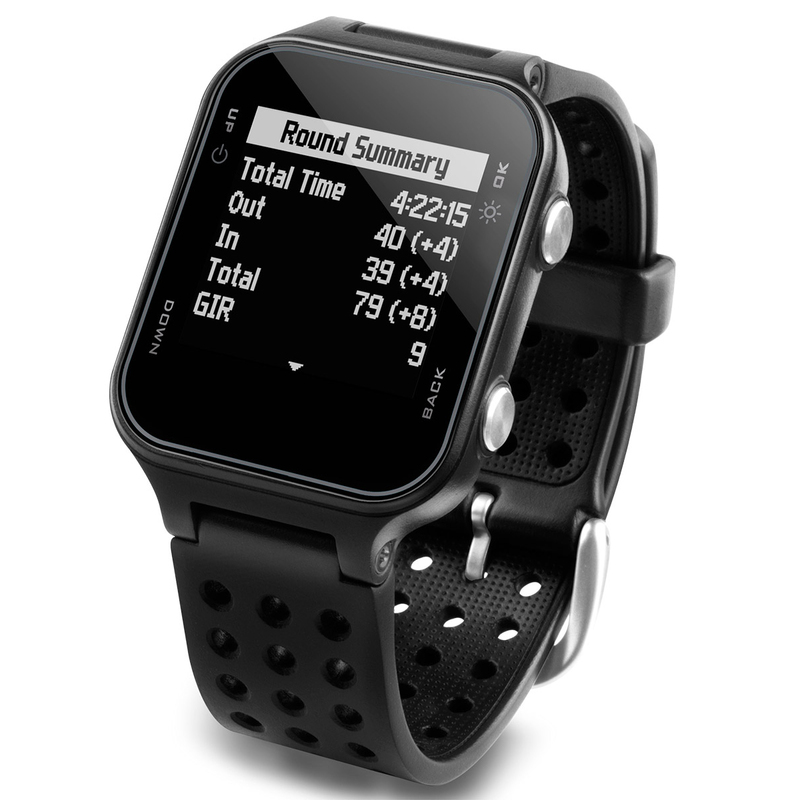 During play all your information you need for your next shot is made available via a clear 1.3 inch sun-light readable graphical user interface, and a digital scorecard lets you easily keep track of your score throughout your round. 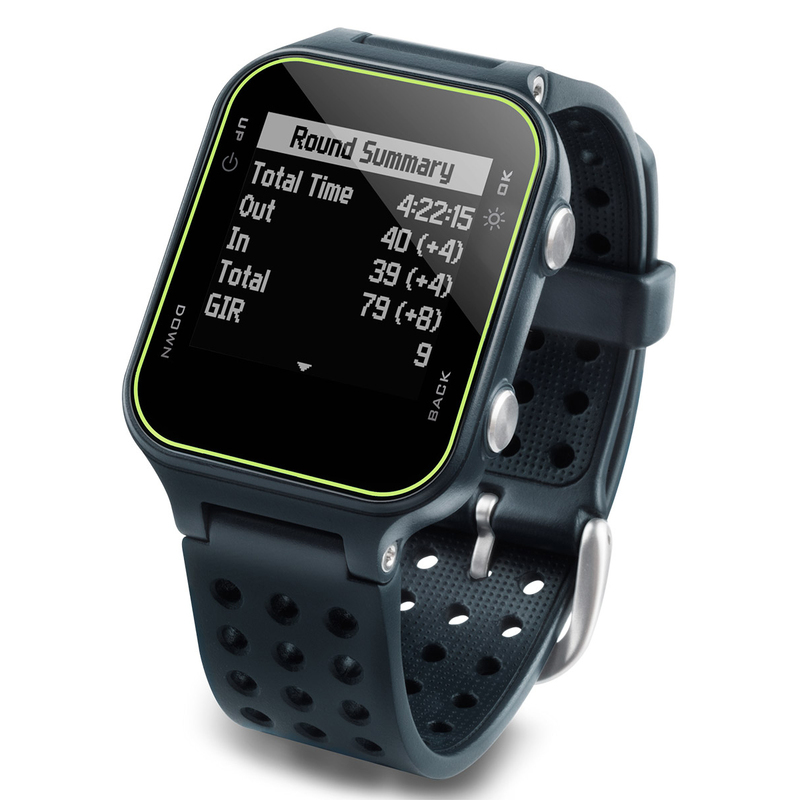 TruSwing Compatible, when paired with the Garmin TruSwing golf swing sensor the watch provides metrics to improve your swing consistency.